« The sun came out! 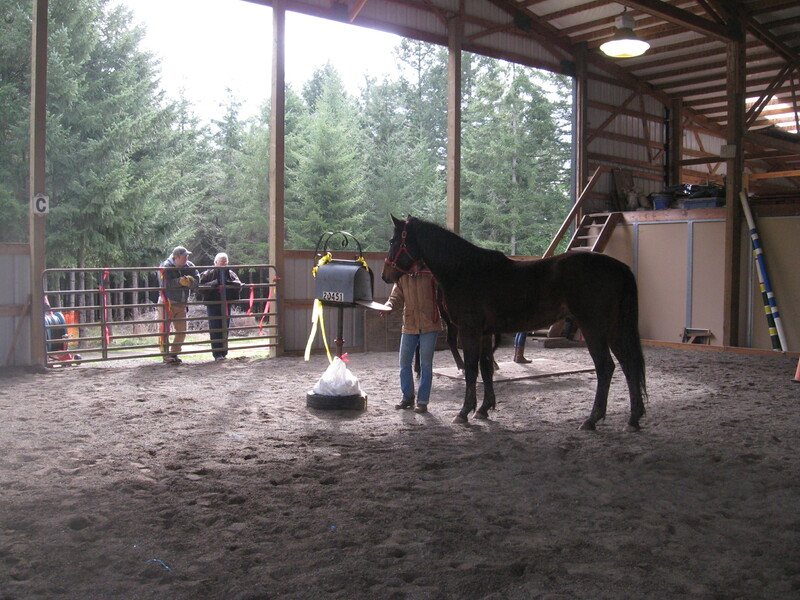 Chance and I attended our first clinic this weekend, and overall it was a big success. 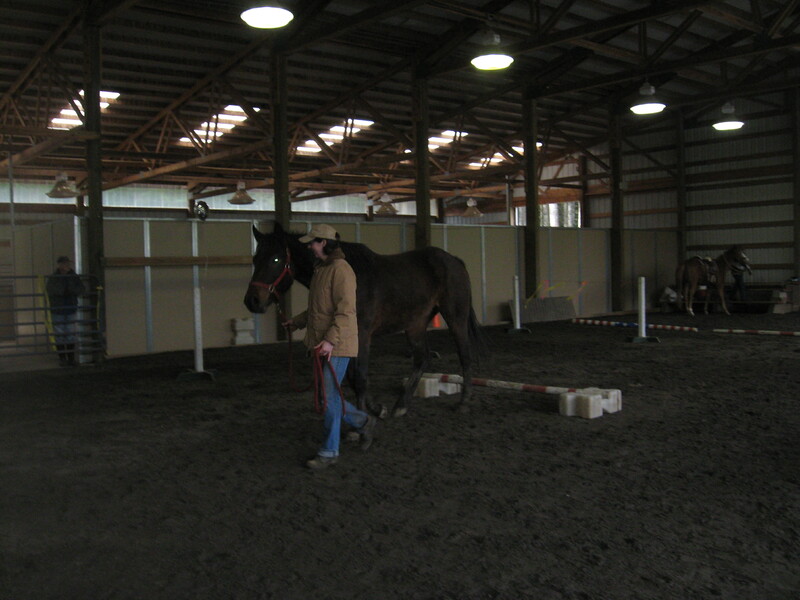 It was a trail desensitization clinic, mostly in-hand work with some riding or ground driving. 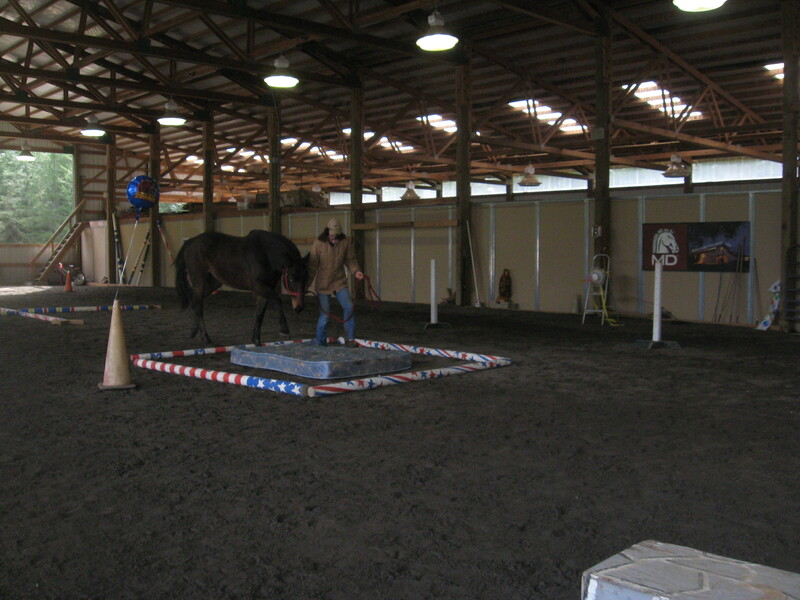 I did most of it in hand with Chance but did ride him a bit on the second day. 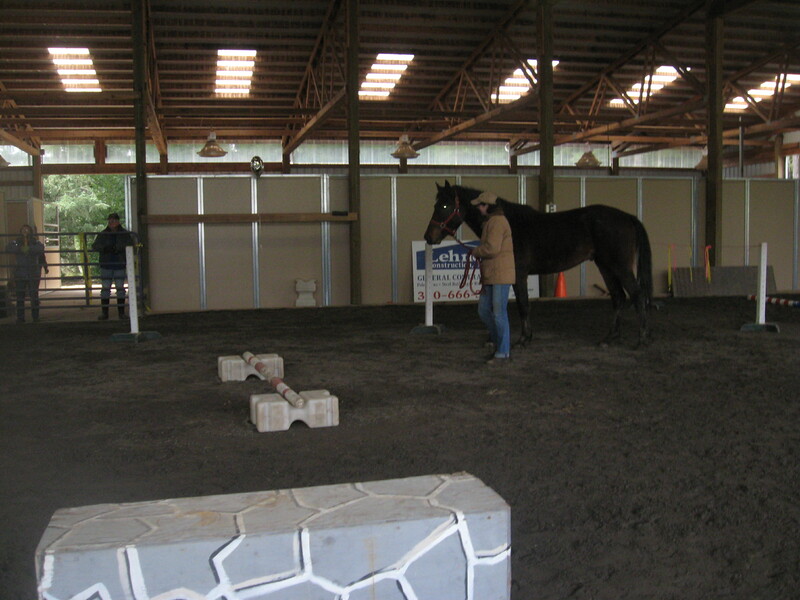 He was the worst he’s ever been in his life on the first day (he’s definitely half Thoroughbred – that’s the attitude that came out!) but he recovered well and was his sweet self on the second day. I don’t have any pictures from the first day (thank goodness), but here are some from this morning. The first day did have more scary stuff including a table full of noisemakers, an awning they had to walk under, bright orange safety fencing propped up with PVC they had to walk under, etc. 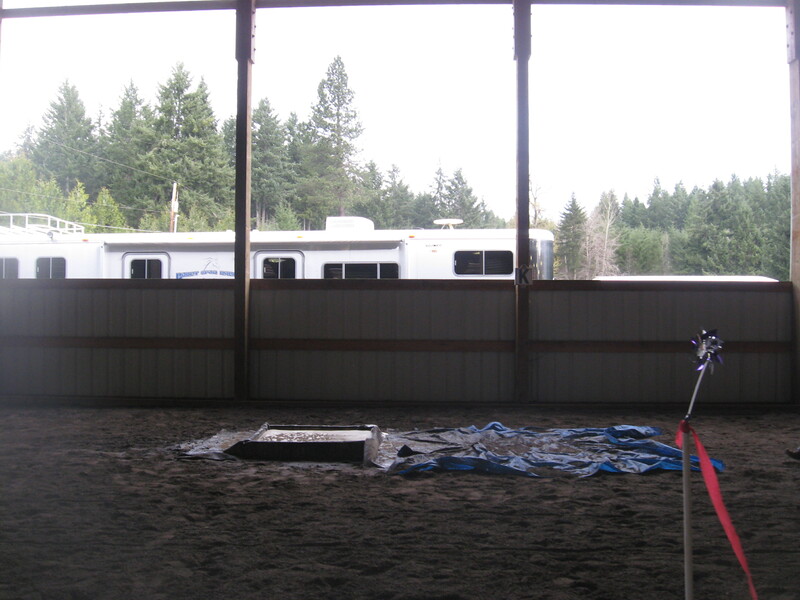 They cleared some of that out for the last day because it was riders and more horses. In these, Chance is walking across a mattress. There is a mylar balloon on this side and a fan with a bunch of streamers tied to it on the other side. 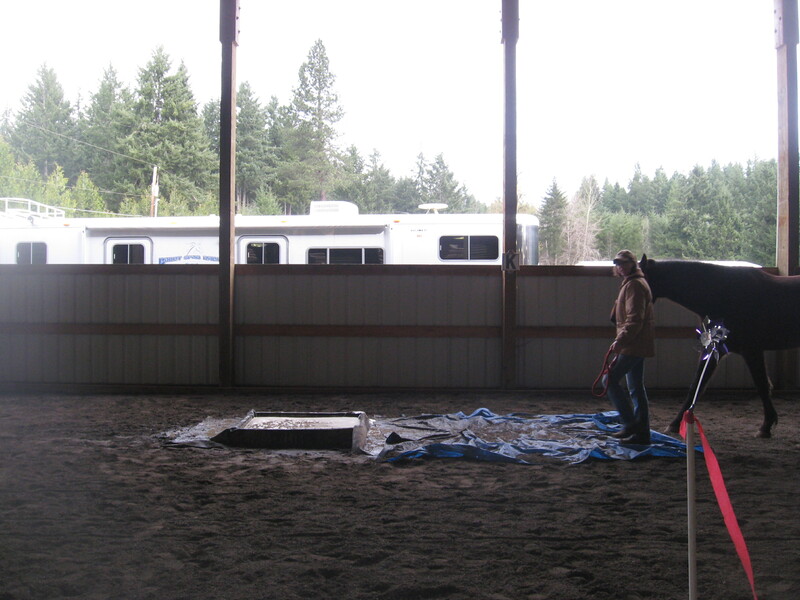 Getting ready to step over the low rail. 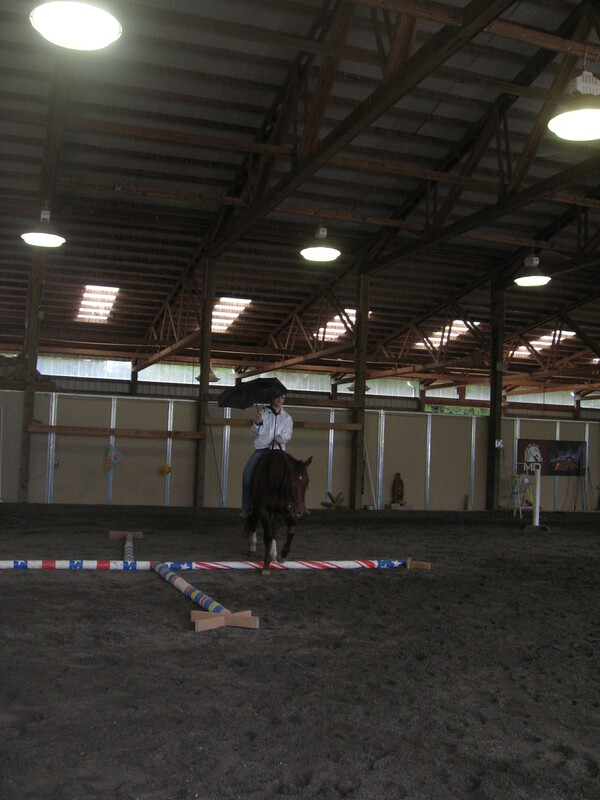 He did actually jump over a couple of times, so that was fun. 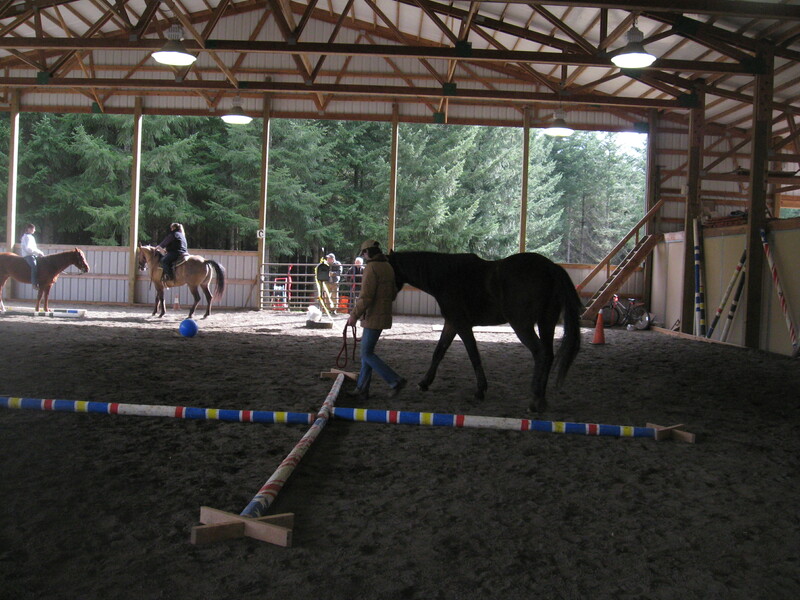 In the picture above, we walked between those poles with all the streamers hanging from them. 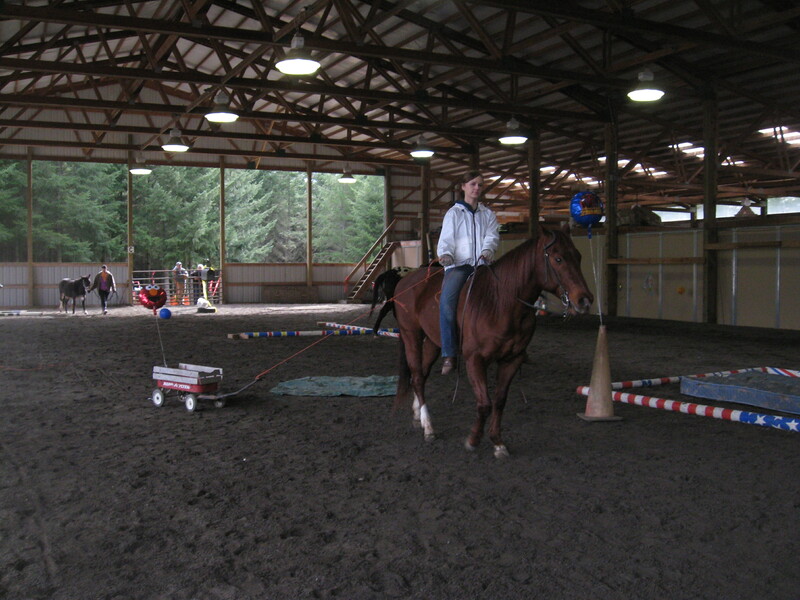 Below, Chance checks out the little red wagon. 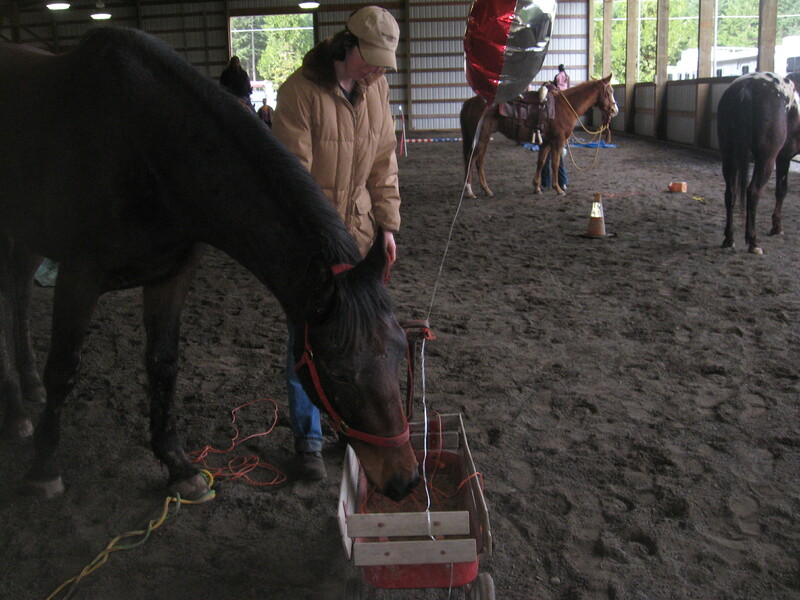 He was actually more interested in the red mylar balloon on the handle and finally tipped the whole wheelbarrow over. 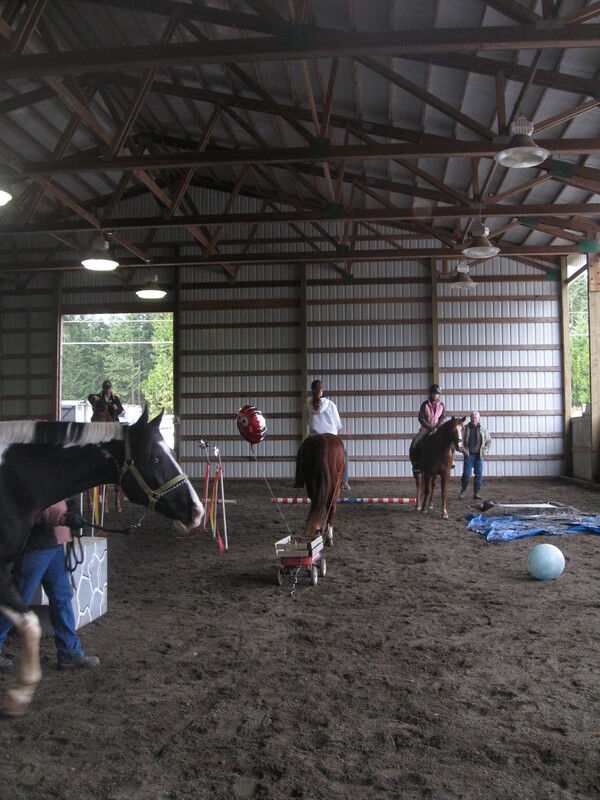 The trainers dragged it around the arena some to see how the horses would react. 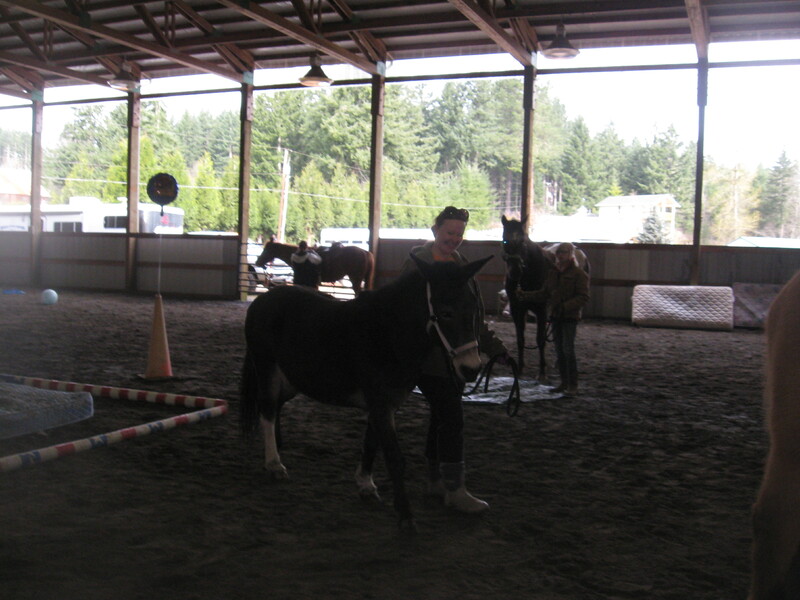 And then a rider dragged it behind a horse too. 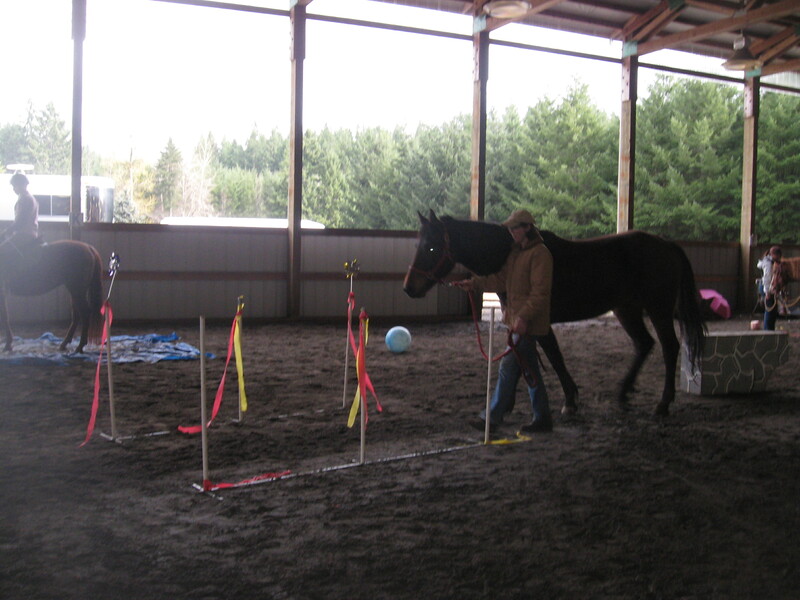 This guy wasn’t exactly a clinic horse – that was the trainer’s own horse who was there as a steadying presence for those who needed him. 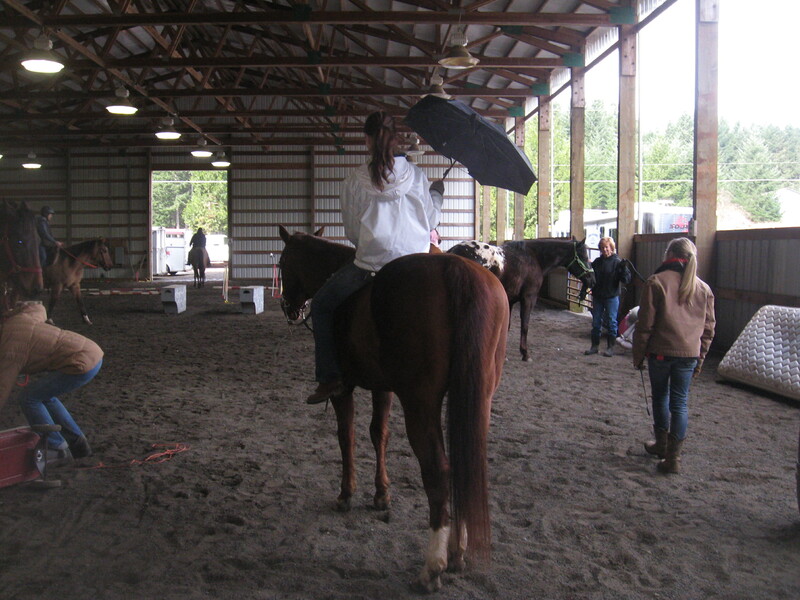 Same horse below with the rider carrying an umbrella. 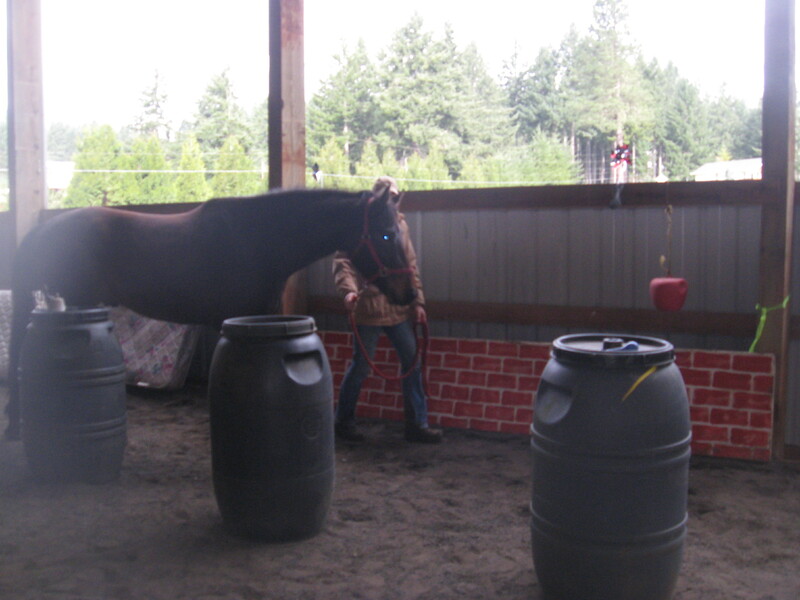 Here’s Chance walking between the barrels and the wall. There were hanging swinging things on the wall and rattles on the barrels (which he tried to chew). 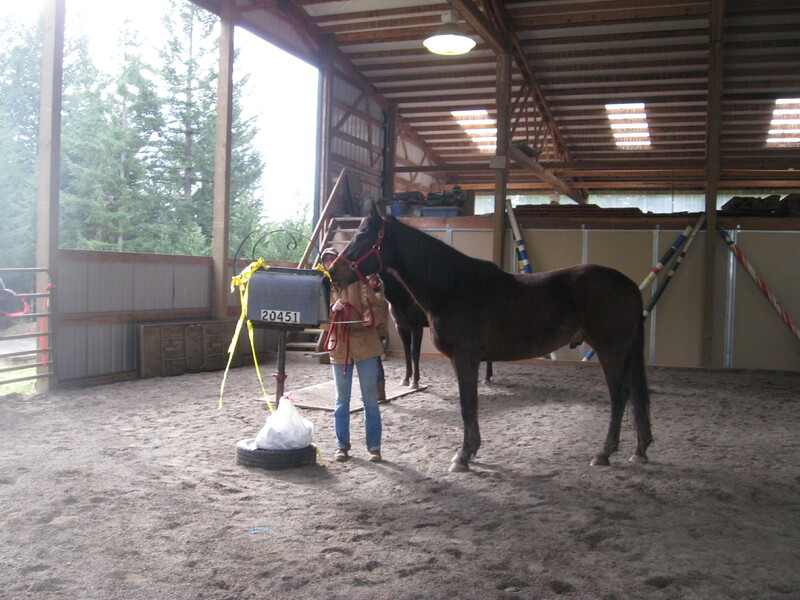 This little one was both clinic participant and source of desensitization – many of the horses were quite curious about her. There were miniature horses Friday and Saturday, and the big horses were really curious about those, too. Checking the mailbox. He was really into taste-testing things today. 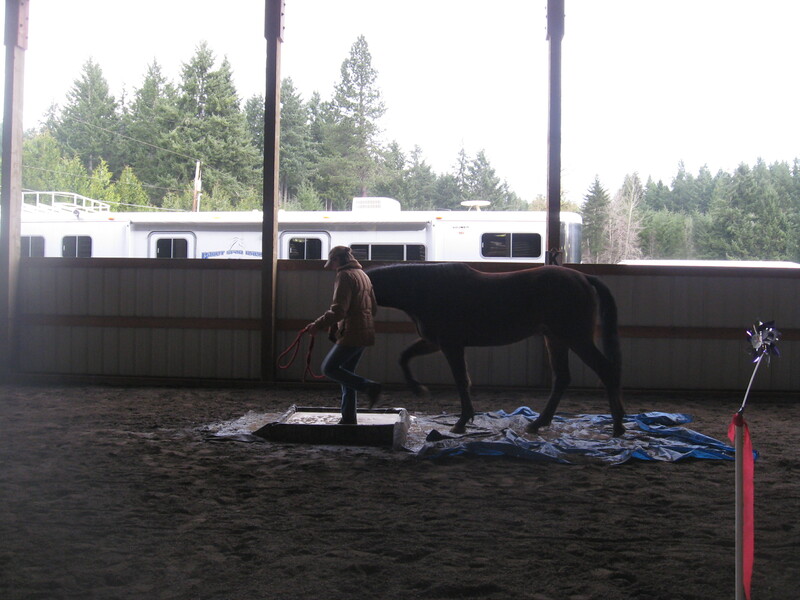 And finally for the big finale here is Chance crossing the blue tarp and walking through the waterbox full of soapy water and horse-eating alligators! 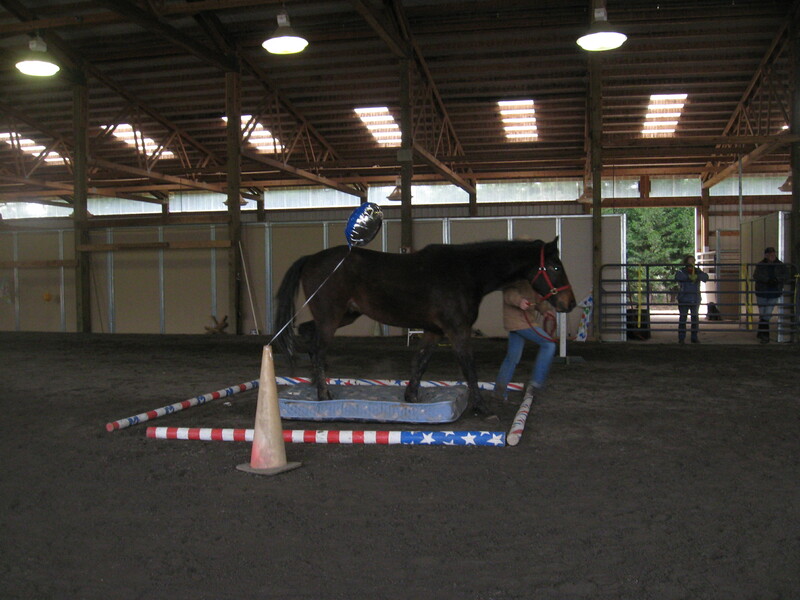 This was pretty much the toughest obstacle for most horses at the clinic, but it didn’t faze Chance. The boy loves water! This entry was posted on April 3, 2011 at 5:41 pm and is filed under Uncategorized. You can follow any responses to this entry through the RSS 2.0 feed. You can leave a response, or trackback from your own site.